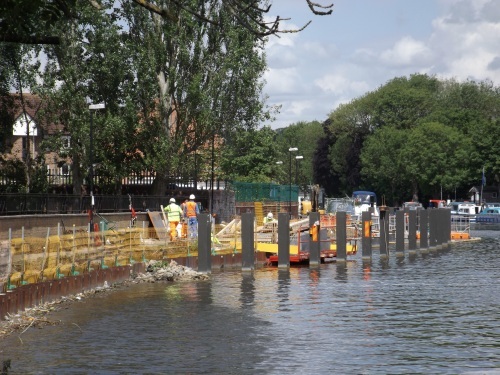 The diversion at Reading looks likely to remain in place until the autumn. 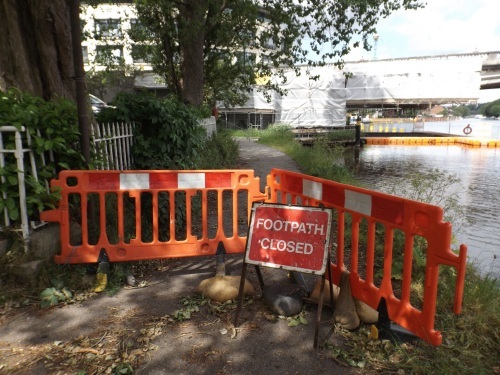 Not only is the towpath closed for building of a new bridge across to Christchurch Meadows but the passage under Reading Bridge remains close whilst the structure is repaired. 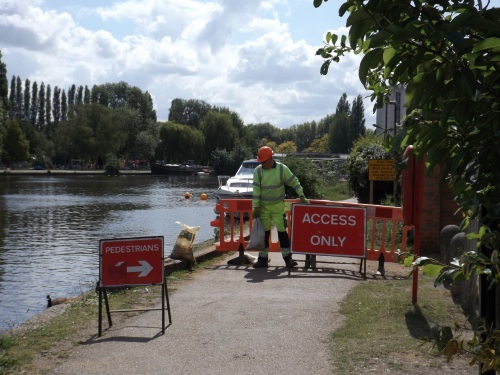 Traffic is crossing the river again as reported on the regional TV stations but work continues with the pavements restricted. Walkers on the Thames Path find the diversion just after passing Caversham Lock. There is an alternative route indicated down King’s Meadow Road but you can continue ahead past houses to a point nearer Reading Bridge. At this further point go left down a permitted footpath at the side of the Environment Agency building to reach the main road. Here turn right to cross the approach to Reading Bridge. to Thames Water’s Clearwater Court building. It is possible to go right down to the river but only for a view. The diversion continues along the main road (Vastern Road). Across the dual carriageway can be seen the new entrance to Reading Station in Trooper Potts Way. Go right down Lynmouth Road to reach the towpath. The new pedestrian/cycle bridge will cross the river just upstream of Fry’s Island. 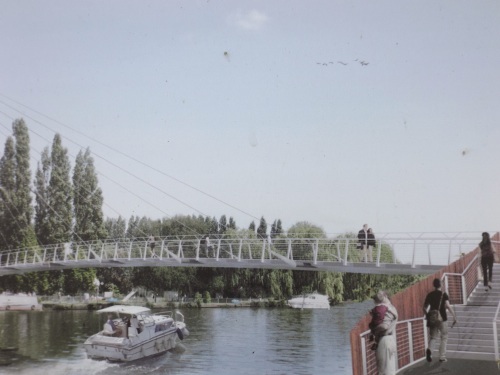 Footbridge over Thames between Reading and Caversham Bridges is open and in popular use. 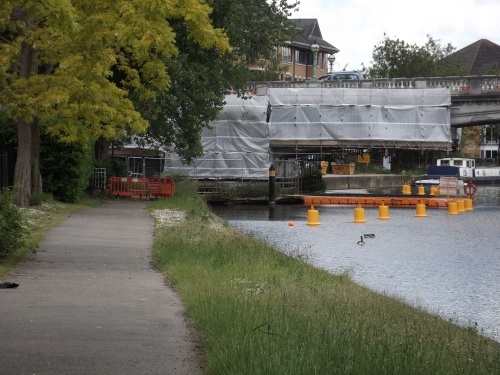 Passages under both bridges are open on South side of river so you can walk from Tilehurst to Sonning.